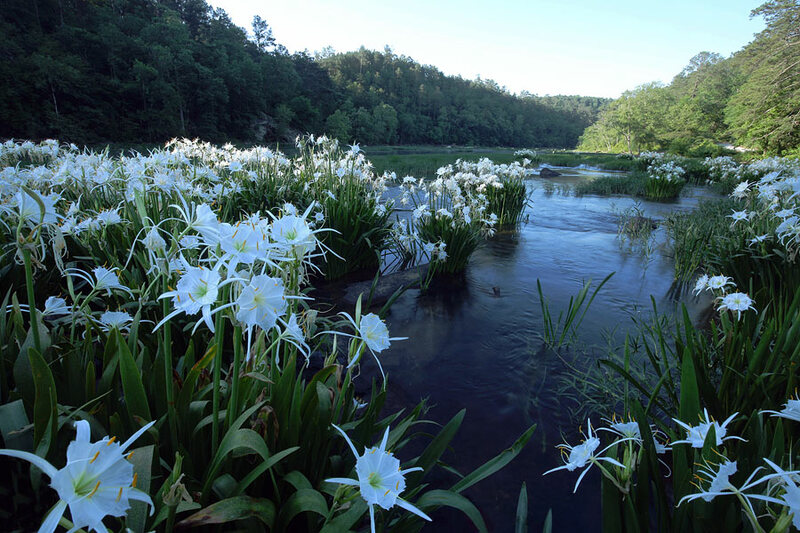 Cahaba lilies at the Cahaba River NWR. This was taken out from the road at the Cahaba River National Wildlife Refuge. You can see a bit of the dirt road running alongside the river. The morning sun was just breaking over the hills and lit a section of the lilies to add some variation in the whites for a more interesting photo.